In between the 4:00 and 8:30 pm games I ducked out briefly out of curiosity. Having scanned my park map earlier in the day. I went looking for something close by. Not as close as I thought but worth the trip I headed over to Jones Bridge Park. 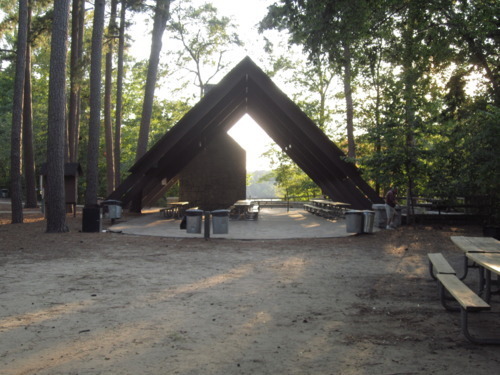 The park, is nestled in the Jones Bridge area of Norcross has some different amenities than than some of the others, and some of these amenities were closed. 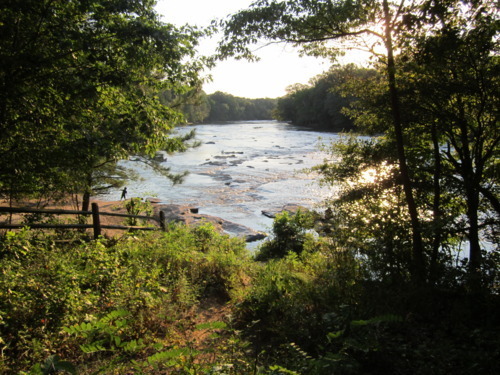 The park is an area in which there are periodic releases of flows from he Chattahoochee River and there is ample signage to let folks know about so that they aren’t swept away when they come. Here in the metro, every summer there are televised rescues of folks from the different parts of the Chattahoochee where flows are being releases so the signs are definitely appropriate. 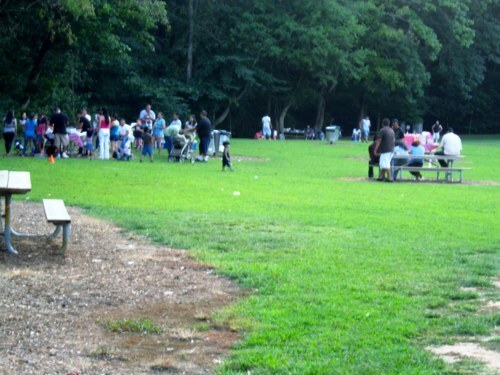 Features include, children’s playground, soccer fields (closed), sand lot volleyball, a large pavilion senior center. 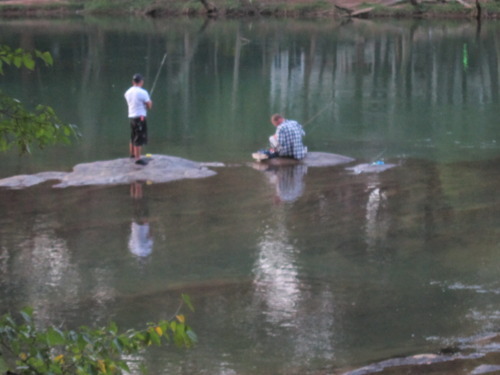 The park is also a great place for fishing and family barbecue, and there was plenty of both activities going on even at near dusk. There is None. There are plenty of natural foot made paths throughout the wooded areas and designated walking paths to get to the fishing areas, but a paved trail is non-existent. As always I’ve never been to a park that I didn’t like. Jones Bridge is no exception. If you want to hangout with friends and family or go fishing, this is a beautiful park to do so. If you want to do any running or walking for fitness, blaze your own trail if you must. I’ll be hanging out at the barbecue while you do. For more information on Jones Bridge Park, check it out on the web. For additional photos. See the set on Google+.